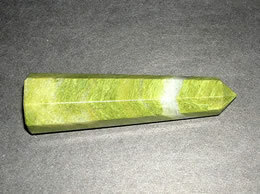 The lovely color and the smooth finish make this translucent gemstone wand very unique. This black agate belongs to the Chalcedony family of quartz. 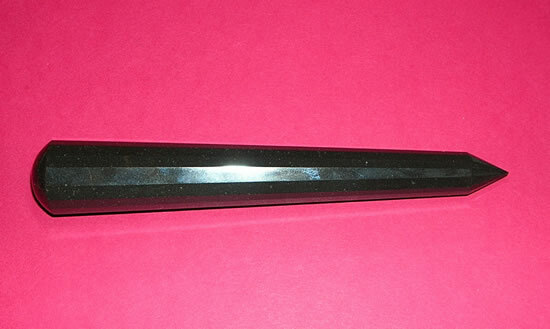 This black agate wand is hand crafted to provide you with the perfect shape. Black agate is just one of a group of different colored stones that all have a different structure. 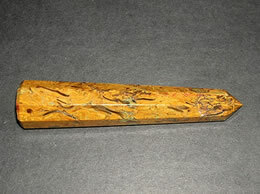 Black agate has been known as one of the strongest agate stones. 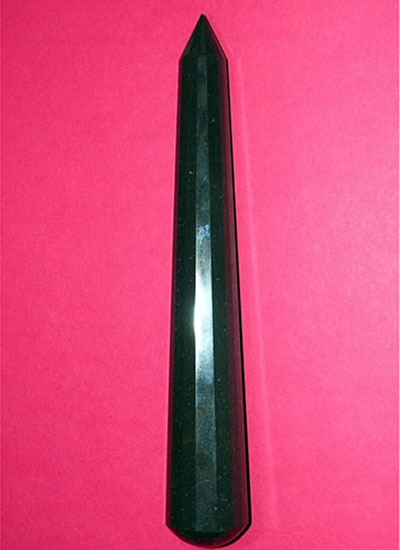 Size – 16.5 Cm, Weight – 165 grams. 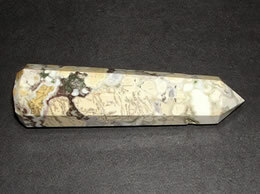 This black agate wand is well known to bring the great spiritual joy into your life. It helps to attracts good fortune. 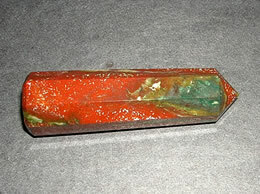 It increases concentration and clarity and promotes good will. It helps in overcoming flaws, fears, and loneliness. Eliminates jinxes and assists in eliminating bad luck. Has a calming effect during times of stress. Gives a sense of strength and courage and encourages fertility. This powerful healer is also said to cure bone marrow and allergies.